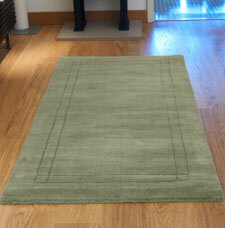 Landscape is a collection of plain wool rugs offered at great value for money. The rugs feature a simple bordered design on a soft plain coloured surface, which is perfect for those wanting a rug that is design oriented, yet not too busy. The Landscape rugs are hand-tufted in India and feature a thick and dense wool pile, which is soft to the touch.